“Bus trip to Cameron Highlands from Penang ends in Tanah Rata.” The staff from the tour agency, where I booked my bus ticket to Cameron, confirmed. 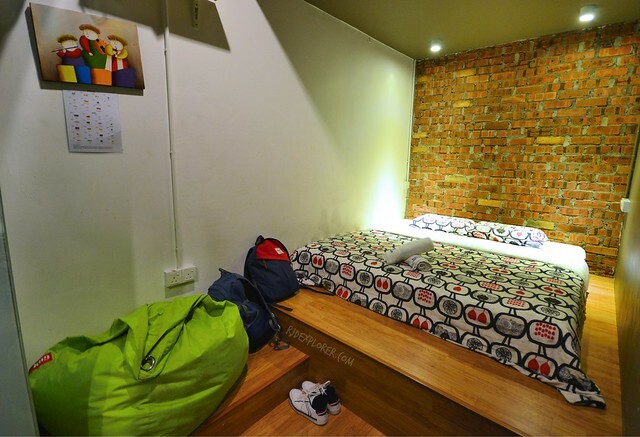 Snooze Too Hotel is in Brinchang and the options to get there from Tanah Rata is by public bus or taxi. Public buses have schedules until 6 PM and travel time from Penang Island is about 5 hours. Unfortunately, I booked a 1:30 PM schedule. Do the math. Another thing that made me worry was when I found out that taxis in Cameron Highlands usually have no meter. Riding a cab will hurt your pocket as rates are fixed no matter the distance of the destination. Thanks to Google maps and asking some locals onss the bus and I was able to confirm that the bus will pass by Brinchang before Tanah Rata. When I heard people flagging the bus to stop at any point of the road, I monitored my Google map and planned to talk to the driver. The bus stopped at the taxi station that is right across a commercial building with restaurants, convenience stores, and hotels. Snooze Hotel sign dominates one of the facades. I was about to approach the hotel’s front yard when I remembered that I’ll be staying on their second branch which is only a 3-minute walk. Two backpacks on my shoulders and I sashayed the sidewalk while battling the cold winds of Cameron Highlands. The sun was about to set. After some steep ramps, I reached the complex where Snooze Too Hotel resides. The hotel staff greeted me and immediately asked for my passport. No deposit fee was settled and the crew informed me my room number and handed me my keycard. Fast check-in I must say. Every floor of Snooze Too Hotel has a name: Chillzzz, Cozzzy, Wowzzz, and Megazzz. 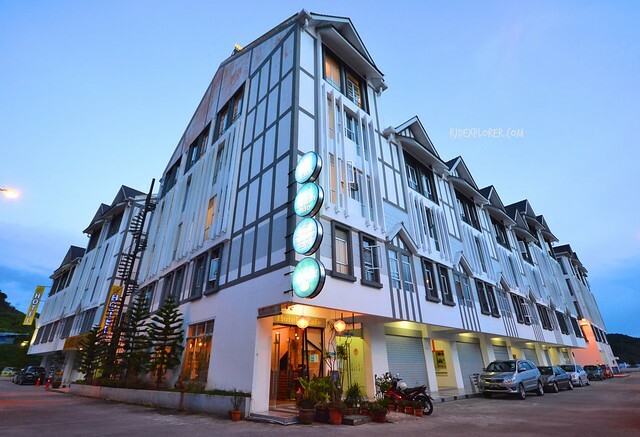 The floor names themselves already promote the hotel as a perfect venue for nice and relaxing slumber while in Cameron Highlands. There are 5-6 rooms per floor plus a common lounge, tables, a water dispenser (hot and cold), a sink, and an iron and ironing board. Snooze Too Hotel has two room types: double and suite. I got a double room on the Chillzzz (1st) floor where I enjoyed an accommodation with a king-sized bed. Since it’s a budget hotel, the bed doesn’t follow the usual all white linens and blankets. Given the weather in Cameron Highlands, I thanked the patterned cushy duvet, apart from the blankets, for the cuddly evenings. Head side of my room is a red-bricked wall used to divide the floor into rooms. Overall, that side amplifies the bare colors of the other walls to produce a cozy interior ambiance. A flat-screen television is mounted on the wall with a great viewing angle just right when you’re on the bed. It has several channels from news, lifestyle, and cartoon networks. There are also a lot of power sockets available yet all of them only accepts 240V so don’t forget to bring your adapters. In my case, I brought one so I’m not sure if the hotel lends or rents adapters to their guests. The spacious bathroom is one of the things I looked forward to when I saw a tub similar to a Japanese bathtub. 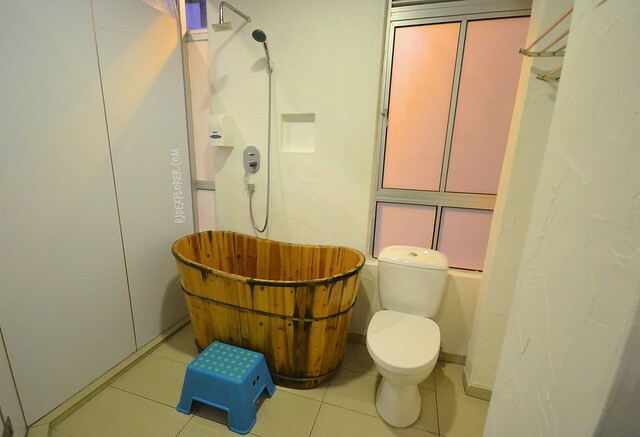 With the chilling temperature in Cameron Highlands, every guest really needs a hot shower. Don’t worry because a hot and cold shower is provided. Only bath foam is available though, no shampoo or whatsoever. 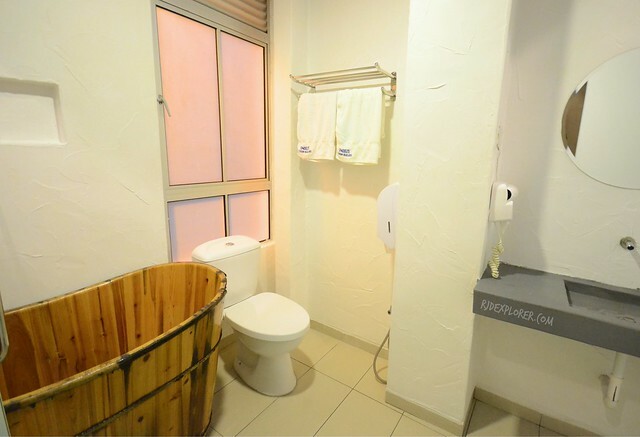 Included amenities are bidet and hairdryer. 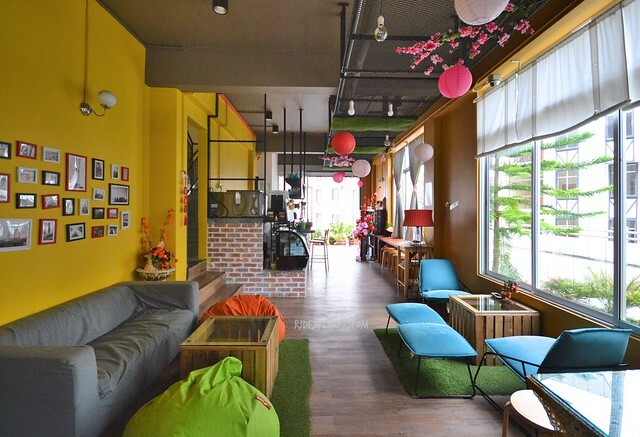 The hotel’s ground floor serves as the lobby, cafe, and lounge area for everyone. An old land rover decorated with plants on pots and other stuff uses some space on the cramped common area. But it could be a great spot for some photo ops during your stay. Surprisingly, a computer with internet connection is readily available for guests who needed some research and online bookings. Free Wifi connection is offered on every floor and on the ground floor. Parking is not an issue because there are a lot of parking spaces. Room rates don’t include breakfast but light meals start at 7RM. 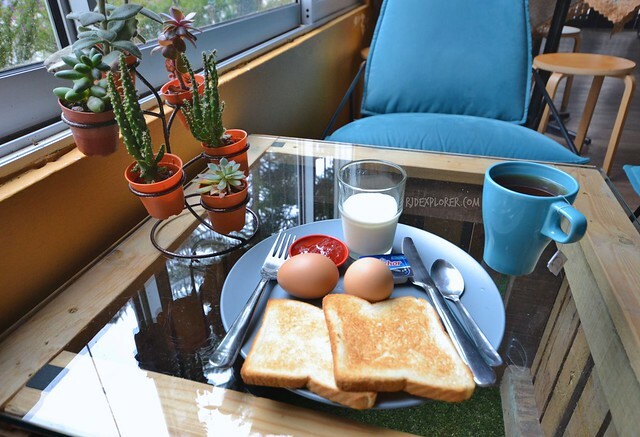 I had a set having 2 toasts with butter and jam, 2 hard-boiled eggs, yogurt, and a cup of tea or coffee. Other sets include fruits. 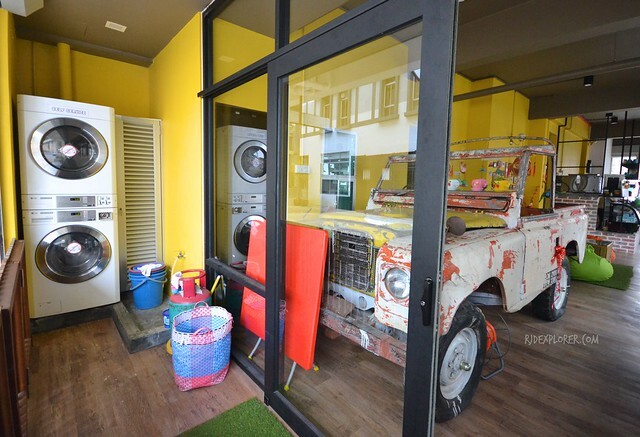 If dirty clothes piled up during your trip, Snooze Too Hotel’s laundry facilities will excite you during your stay. 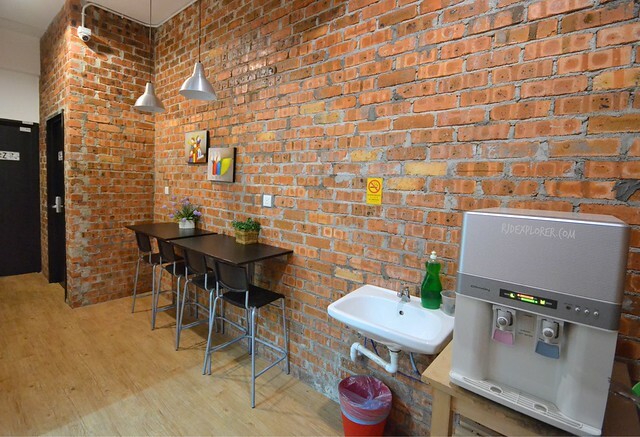 At 10RM, 5RM each for laundry and dryer, you could easily wash your clothes while sipping a hot tea or chatting with a stranger. When I decided to visit Cameron Highlands, I was considering Tanah Rata to be my home base because of the availability of tourist centers and places to eat and sleep. But when I checked destinations in the area, Brinchang turned out to be in the center of my target attractions. 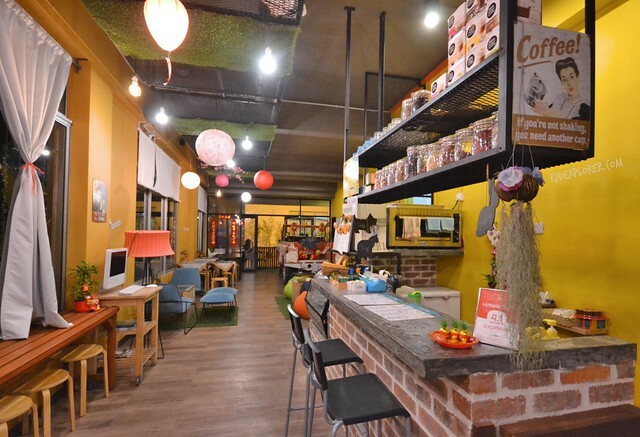 Staying at Snooze Too Hotel really makes your Cameron Highlands stay accessible to tons of flower and veggie farms, cafes and steamboat restaurants, and most of all the Brinchang night market. These conveniences are just on top of the warm accommodation and relaxation you can get from Snooze Too Hotel. 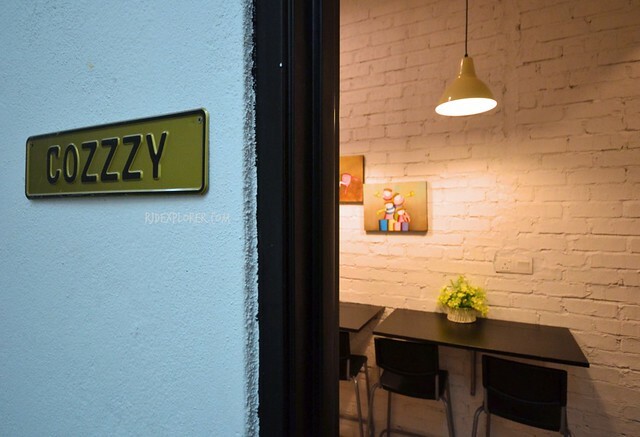 Avail discounted rates at Snooze Too Hotel from Agoda! 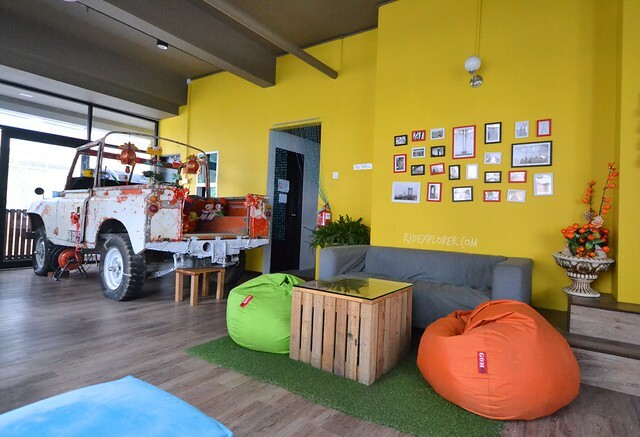 Disclosure: Thanks to Snooze Too Hotel for hosting me on my stay at Brinchang, Cameron Highlands for the purpose of review. All opinions stated on this post are my own.